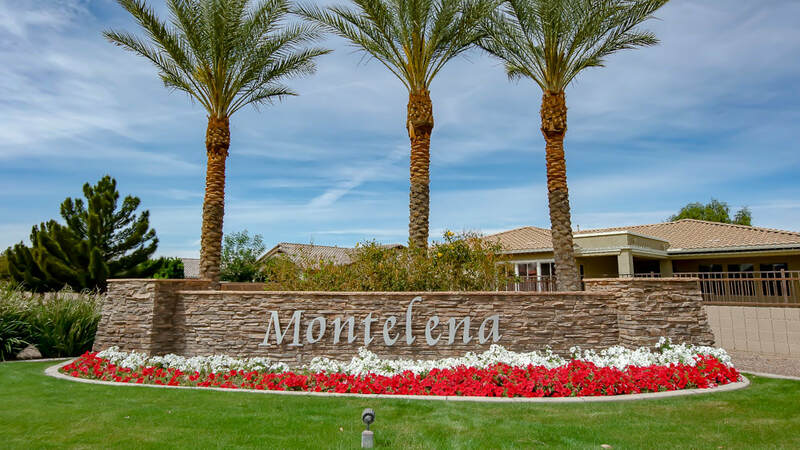 In my quest to learn more about Queen Creek neighborhoods, I came across Montelena, which had me doing double-takes more than once! My first impression was "wow, it feels open." The lots, roads and parks seemed unusually spacious. After a little research, I learned that there are roughly 400 lots in Montelena and fantastic access (via trails) to the rest of world! If you were to jump on a bike and head out on a neighborhood trail, you could quickly end up at the Queen Creek/Gilbert border at Power Rd and Queen Creek Rd. This would be on route to grab some groceries at the neighborhood Safeway store. And if for some odd reason you couldn't wait for the grocery store, you could stop by the Creek Side Taco Shack along the way, grab a taco and chill out on their awesome patio. Once you've recaptured your strength, hit the trail and don't look back (i'm reasonably convinced it's downhill both ways). Sounds like an exceptional day! This excellent little neighborhood sits just south of Desert Mountain Park in Queen Creek, also connected via trails. Montelena is 25 miles southeast of Sky Harbor International Airport, and only 4 miles south of Phoenix-Mesa Gateway Airport. You are mere minutes from the Queen Creek Marketplace and Harkins Theater. There sure does seem to be a lot of positives about Montelena, and not to be overlooked is its neighbor to the Southwest, TerraRanch. This is another little gem in Queen Creek that deserves some positive press. Check out Montelena's profile page to see the gallery, videos and more information. Here is a link to the Montelena HOA.